Remove the 2 bolts and 2 compression springs. 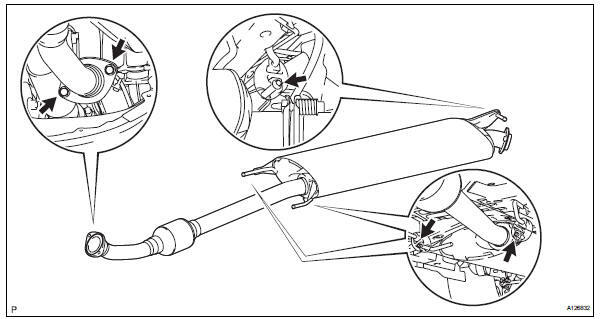 Disconnect the 2 exhaust pipe supports, and remove the tailpipe. 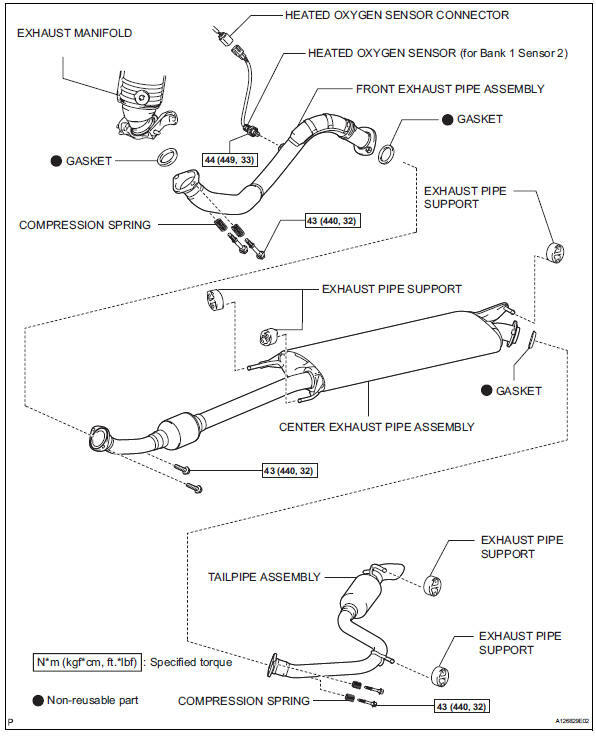 Remove the gasket from the center exhaust pipe. 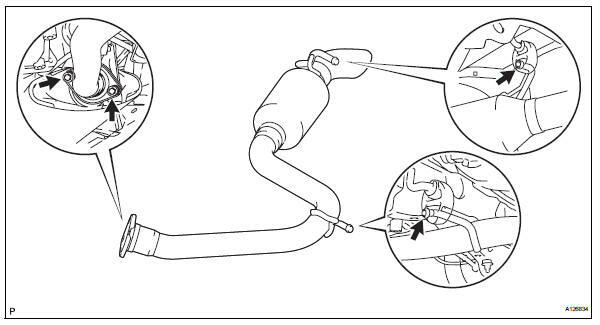 Disconnect the 3 exhaust pipe supports, and remove the center exhaust pipe. 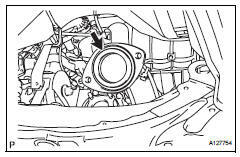 Remove the gasket from the front exhaust pipe. Remove the 2 bolts, 2 compression springs and front exhaust pipe.